This is the 9th article, the final part of the series. This ninth article gives you more documentations to help yourself in using Kubuntu 17.10. The resources are online links to certain manuals and ebooks specialized for Kubuntu basics, command lines usage, software installation instructions, how to operate LibreOffice and KDE Plasma. 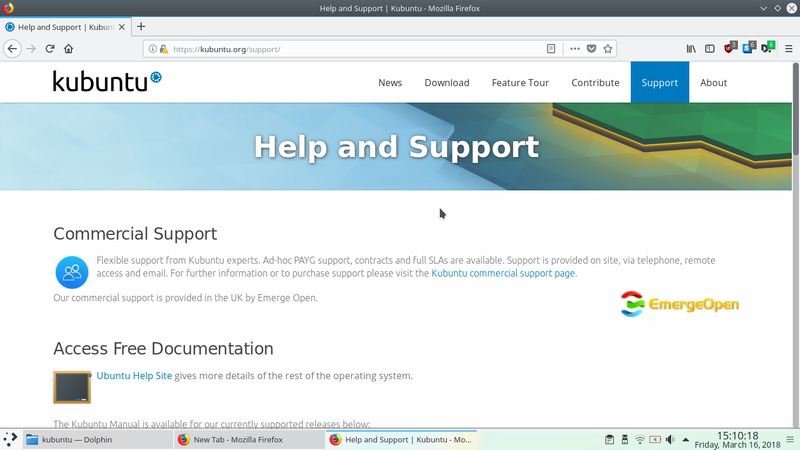 Read also first part and eighth part of this whole Kubuntu 17.10 series. Your Kubuntu 17.10 contains many KDE software such as Plasma (your desktop), Dolphin (your file manager), Kontact (your email+calendar+contact+news management), and System Settings (your control panel). KDE is the developer team, a community behind all KDE software, and Kubuntu originally stands for KDE + Ubuntu = Kubuntu. Finally, I hope these whole nine articles truly help you in operating Kubuntu on your computer. I also hope that this series help you in operating any other Kubuntu version aside from 17.10 "Artful Aardvark", and furthermore any other KDE Plasma distro aside from Kubuntu like openSUSE and Mageia. Share this tutorial series and help your neighbors. Enjoy your Kubuntu!